Electrode Drying Oven has its own place in the industry because it is used for ensuring radiographic quality welds. They have excellent temperature controlling feature and is very easy to use. Meta Therm Furnace Pvt. 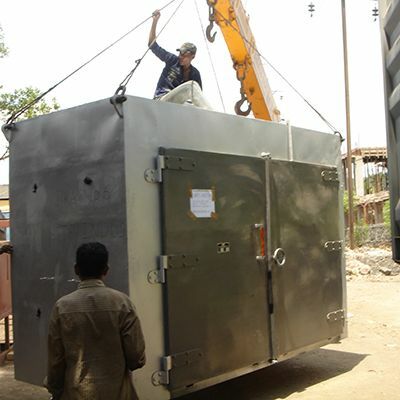 Ltd is one of the popular Electrode Drying Oven Manufacturers in Mumbai that has to be on top of your list for buying different types of industrial ovens as per the need. User-Friendly Design: This type of Welding Electrode Drying Oven is available with easy-interface options and can be operated without having much technical knowledge. Heavy-Duty Metallic Body: Thanks to its rigid construction, it has the ability to withstand high temperature and challenging conditions. Uniform Heat Distribution: It’s significant for an oven to circulate heat steadily for the success of a particular process, and this does exactly the same. We are one of the best Electrode Drying Ovens Exporters and Suppliers in India and we are the right stop you can reach for buying Portable Electrode Drying Ovens. Email us your requirements now.